If you have a sloped lot facing a view, you might just find that this 3 bedroom raised ranch home plan will work for you. 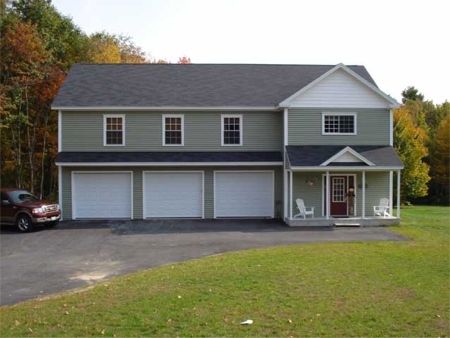 It has a large 2 car garage with plenty of storage, and a recreation room or man cave on the first floor. The second floor living space above offers an open concept living area and very comfortably sized rooms including the large master suite. 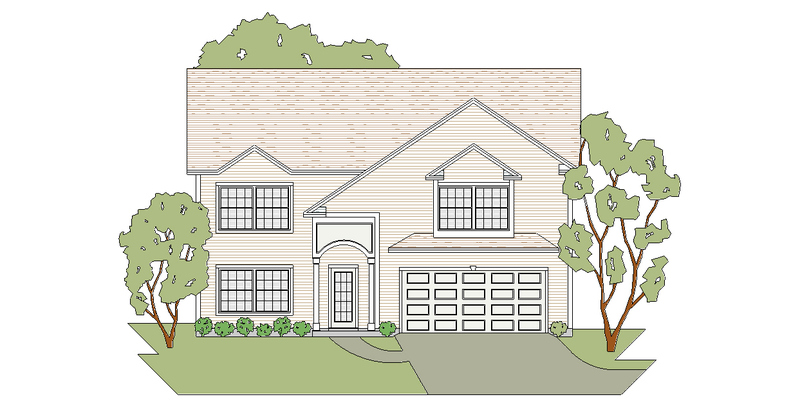 This 3 or 4 bedroom raised ranch home plan is a larger version of our Lancaster A plan. It has a great floor plan layout with open concept living upstairs. Downstairs the recreation room and guest bedroom could be changed to an in-law apartment if you wished. The garage will hold 3 or 4 cars. OK guys, want a large garage? 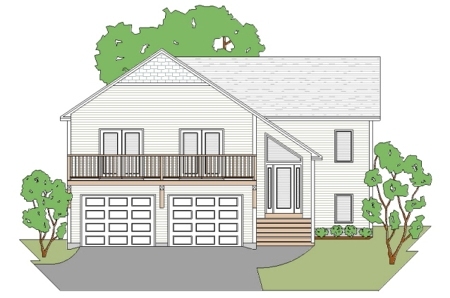 This 3 bedroom raised ranch home plan has a large 3 car garage with a man cave, home office and entry foyer on the first floor. 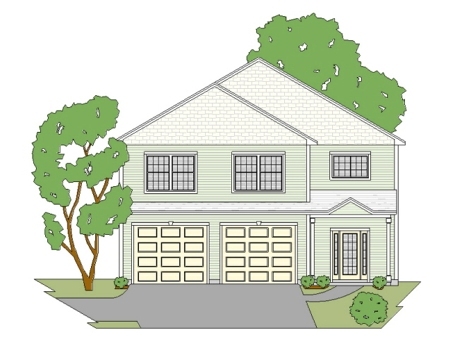 The second floor offers open concept living, large bedrooms and closets, and 2 baths. 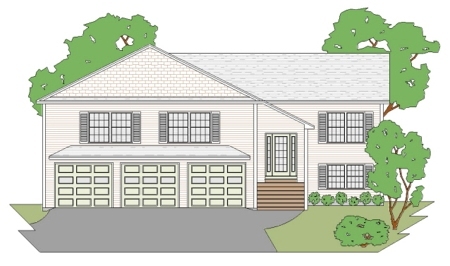 This 3 bedroom raised ranch home plan features a 3 car garage with plenty of storage area, a half bath and a recreation room or man cave on the first floor. 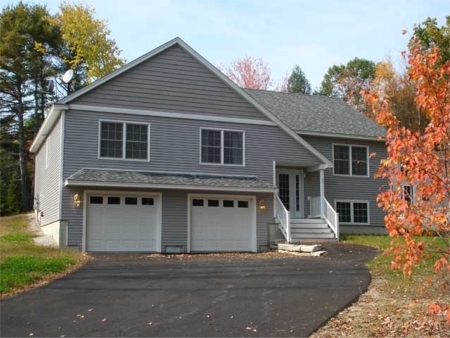 The second floor features open concept living with a double sided fireplace between the kitchen and living room Add in large bedrooms and a really nice home office to finish it off. OK Guys!!! 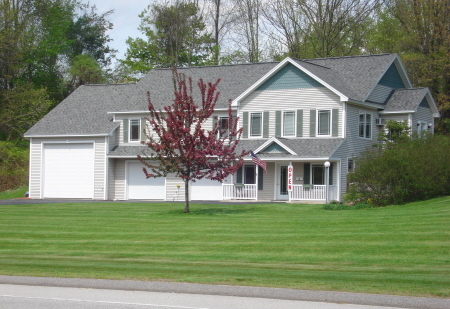 If you want a large garage and man cave this home plan is for you. This 3 bedroom raised ranch is all of that and more. The upstairs offers open concept kitchen, dining and living room with loads of amenities like a computer area, a pantry in the kitchen, a double duty bath for the kids, and a nice master suite. A "car guys" dream. 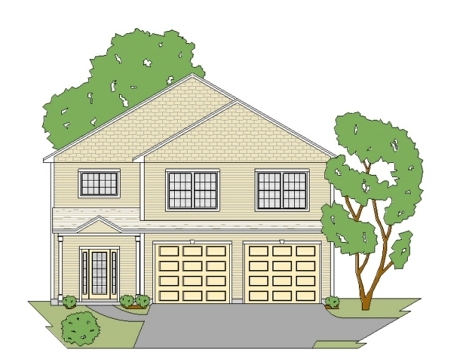 This 3 bedroom raised ranch home plan has a 4 or 5 car garage with room enough for a lift. Also on the first floor is a home office or man cave. 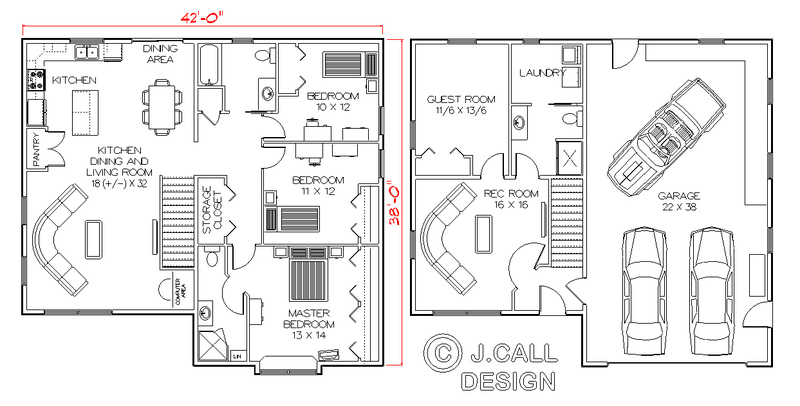 The second floor should please Mom with a country kitchen, large pantry, great living room with cathedral ceiling, and comfortably sized bedrooms,not to mention the whirlpool in the master suite. 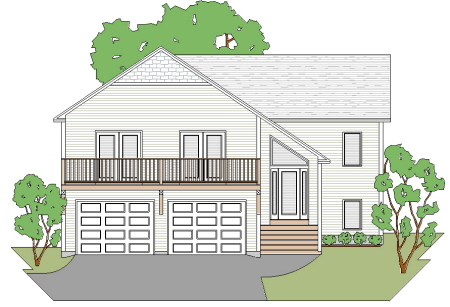 This 3 bedroom raised ranch home plan has plenty of room for 3 cars in the garage. The first floor also has a man cave, entry foyer and plenty of storage area. 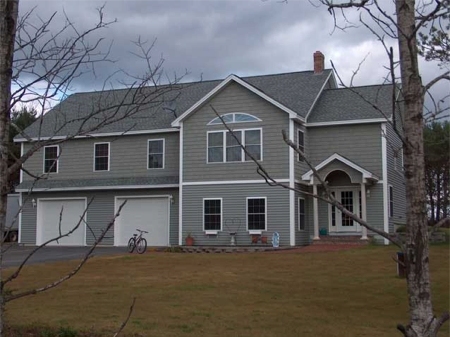 The second floor has a country kitchen with a large pantry, a large living room with cathedral ceiling, 2 large kids rooms, and a really nice master suite.